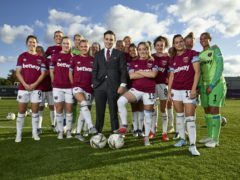 The inexperienced teenager tasked with overseeing West Ham United women’s team will have his journey followed in a new BBC Three series. Dundee have been linked with a loan swoop for West Ham youngster Josh Pask. Dundee have been linked with a shock move for West Ham United striker Toni Martinez.